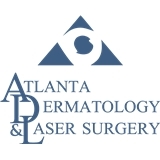 Atlanta Dermatology & Laser Surgery (Tucker) - Book Appointment Online! From the entrance to the exit everyone I encountered was very friendly. When I spoke with the doctor she was attentive and paid close attention. I didn’t feel rushed even tho my appointment was on a Saturday. Will definitely recommend them to everyone! Dr. Elosiebo-Walker carefully explained the treatment process, she's friendly, and have current treatment options. Looking forward to the next visit.